Over 10 years’ experience in the property industry largely in London and the South East. Advising on the letting and acquisition of office accommodation and providing development and investment advice on new build and refurbishment opportunities. 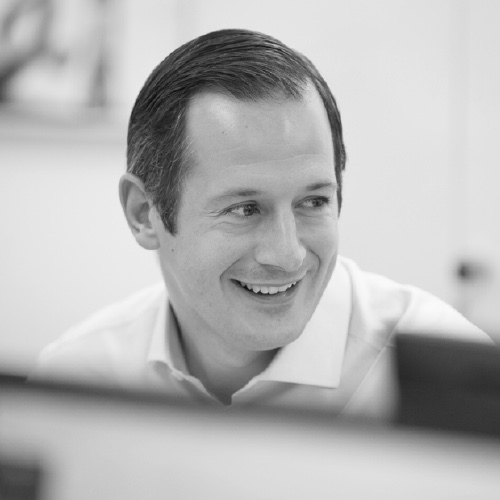 Started in 2006 at DTZ in the South East office agency team becoming an associate director in 2011. Joined Hanover Green in 2012 and promoted to partner in May 2014 before becoming a principal of the practice in 2017. Advised Mercer Real Estate Partners on the refurbishment totaling 129,000 sq ft, and was involved in the regear of 53,000 sq ft. Retained by new owners PGIM and have subsequently undertaken new lettings of over 40,000 sq ft. Advised Columbia Threadneedle on the refurbishment, rebranding and letting of 100,000 sq ft. This has included two pre-lets of 18,000 sq ft and 14,000 sq ft respectively. Advised Benson Elliot / XLB on the rebranding and letting totalling 135,000 sq ft. Retained by Aviva Investors following the sale and let a further 9,000 sq ft. Advised Tristan Capital/Alchemy Asset Management on the refurbishment and letting of 100,000 sq ft, including undertaking a 16,000 sq ft pre-let. Advised Columbia Threadneedle on the purchase and pre-let the whole building of 33,000 sq ft to Not On The High Street. Advised PruPim and then Mercer Real Estate Group / Peakside on the sale, subsequent refurbishment and letting totalling 41,000 sq ft. Appointed by Rockwool to dispose of existing office in Hammersmith of 9,500 sq ft, and to acquire a new smaller London office c.3,000 sq ft. Existing lease was assigned and the new lease acquired with significant savings made. Acquired space at Elsinore House, Hammersmith, for Sybersolve solutions for their new UK Headquarters. Subsequently been involved in two sublettings on their behalf. Advised Inchcape on the new 7,000 sq ft office at CBXII in central Milton Keynes. Advised Oblong on the acquisition of their new UK Headquarters at 131 Shoreditch High Street.